When it comes to custom home features, Chris Rapczynski has seen it all. Rapczynski and the Sleeping Dog Properties, Inc. team share some of their most distinctive (and expensive) luxury projects. For this project, Sleeping Dog Properties, Inc. collaborated with California Closets, a company offering consultation for custom closet designs with special features like velvet-lined drawers and brand-new finishes. Rapczynski and team ensured that the closet encompassed the right ratios of hanging space for the client’s belongings with full-length mirrors that weren’t intrusive to the design. They incorporated ambient lighting with a dimmer to adjust brightness based on time of day, type of outfit, and whim. Rapczynski says this client owns two dogs that like to jump in the pool when they roam the backyard, leading them to track in mud and water on the floors and furniture when they return. The client requested two dog drying stations to avoid the chaos of soaking wet dogs in the house. The dog dryers are stackable, adjacent to a dog washing station, and are situated in the client’s laundry room. 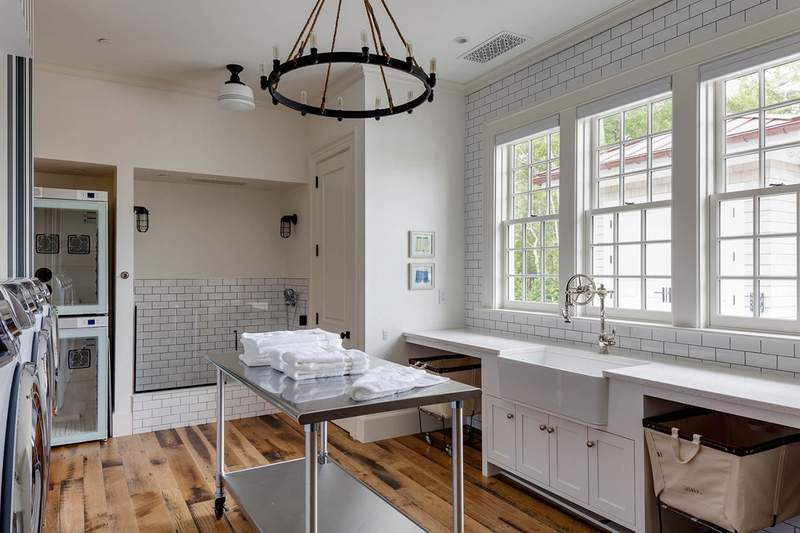 The team designed the white-tile station to fit seamlessly with the rest of the room in this custom Cape Cod house. 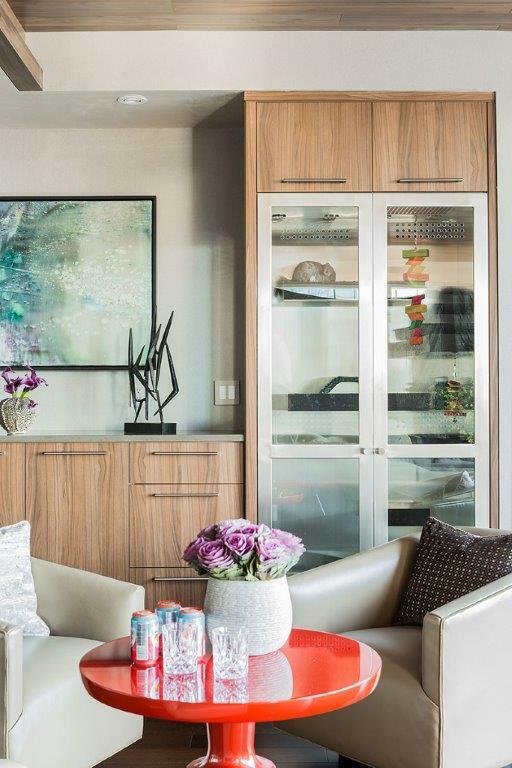 Integrated into a condo at the Millennium Towers, Rapczynski and team took the owner’s idea of a glass box display and found ways to make it feasible with insulated flooring to prevent drip damage from condensation and thermostatic control. 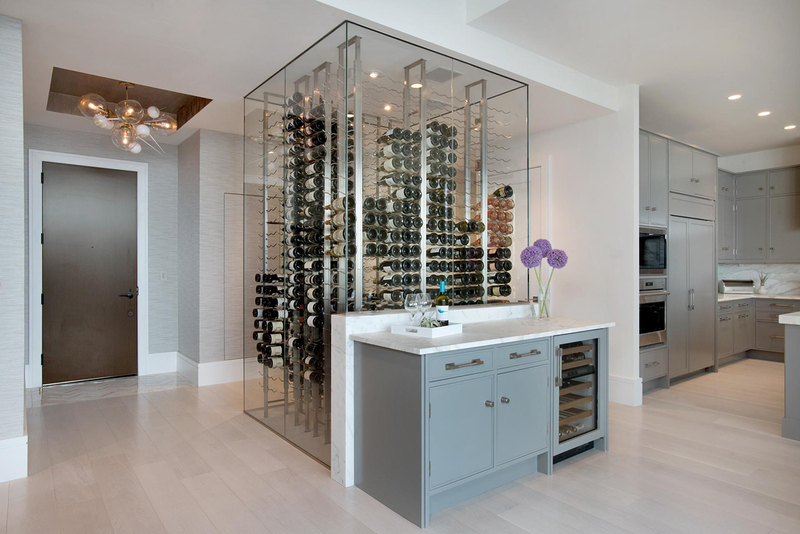 They designed in-house and crafted the best display for the thousand-bottle collection with custom cabinetry and wine holders to make the design appear effortless. 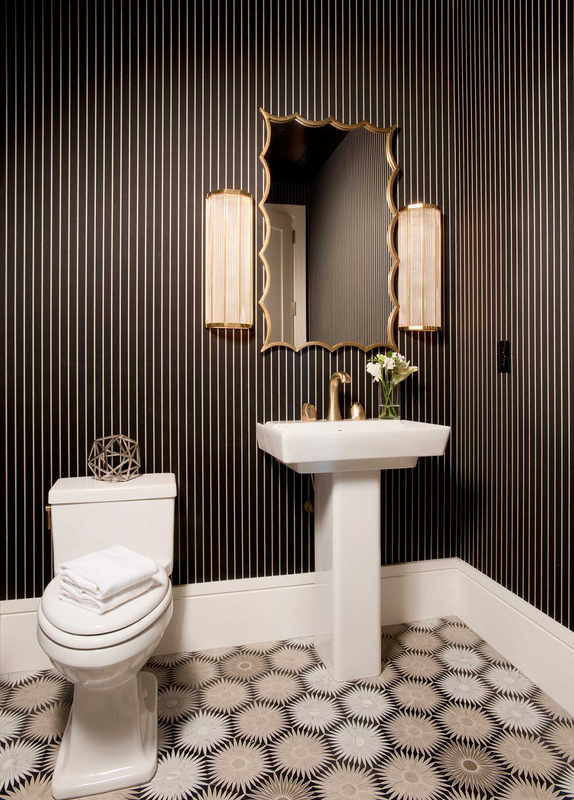 This powder room incorporated hand-painted wallpaper with mosaic tile floor, including hand-picked stones cut into the floor tile. The light fixture and mirror were also customized to match the color selections in the floor. Originally a storage project for the basement, this room morphed into a hybrid bowling alley after the client asked for something to entertain her kids. Sleeping Dog Properties, Inc. built the alley using a design from outside architect CBT, building walls for the separate storage area and installing hardwood flooring. A pool table and arcade games complete the game room vibes. 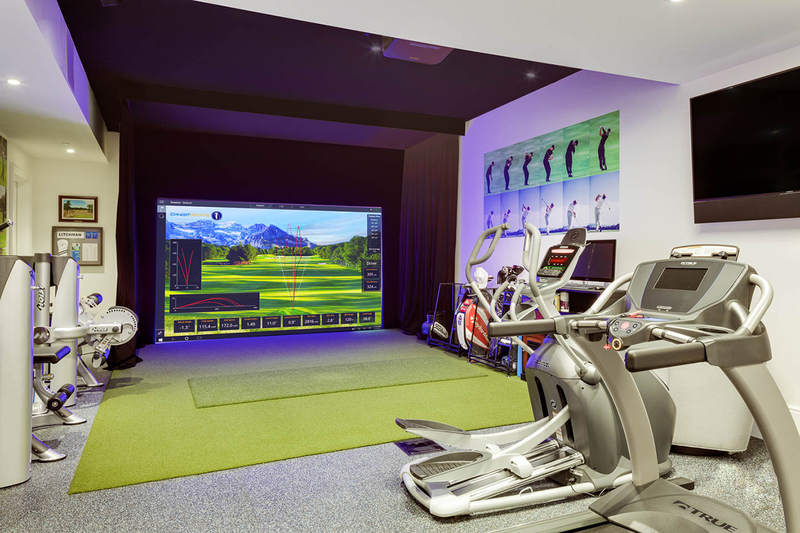 Another feature in the same house as the bowling alley, this room is a golfer’s dream. This homeowner was so fond of their pet chinchilla, they requested custom cabinetry millwork as an alternative to a cage. The system is vented at the top with two round vents allowing for fresh airflow for the chinchilla and old air flowing out through the bathroom to contain any unwanted odors. A stainless steel tray at the bottom can be easily removed and cleaned for animal droppings. Floating marble shelves allow the chinchilla to jump around and play, and an ultraviolet light keeps it warm. 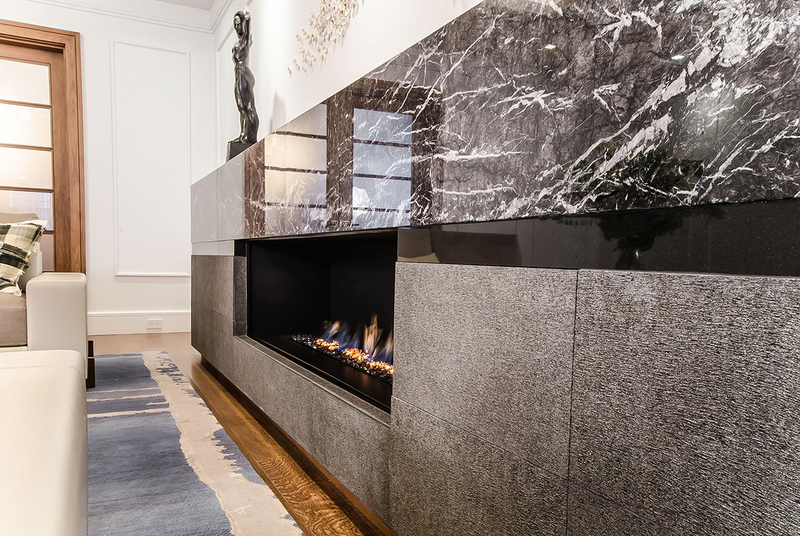 This cozy custom fireplace doubles as an entertainment system. Using a remote control, the fireplace goes on with a thermal temperature sensor and a hidden TV pops up from the inner right panel. 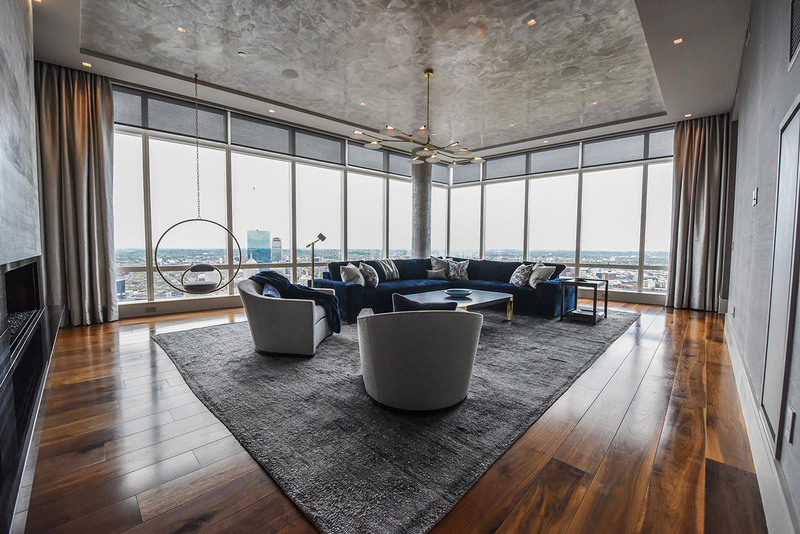 This high-rise incorporated walnut flooring with a walnut ceiling, highlighting the stellar surrounding views. 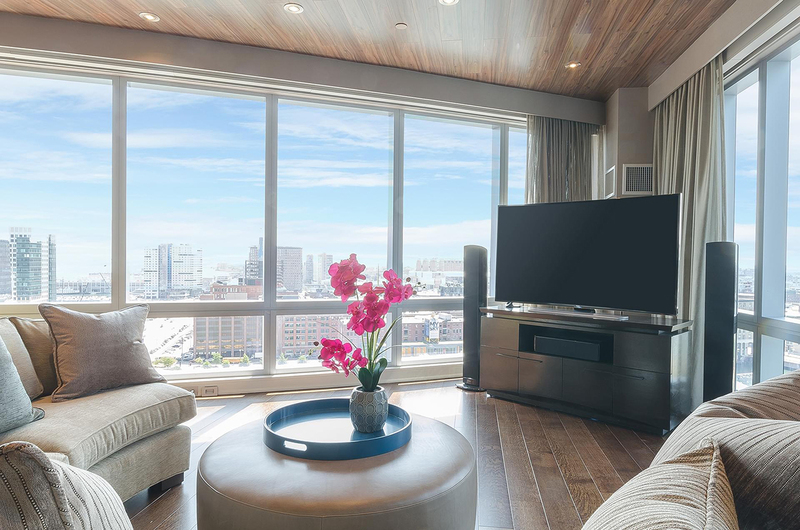 The curved TV gives a 3D quality with a theater sound system. The curved automatic blackout shades are retractable and can be remotely powered down to cover the windows. Another home in Millennium Towers, this room features Venetian plaster to reflect the daylight pouring in through the windows and simulate a clouded ceiling. The room has wide-plank, solid walnut flooring. 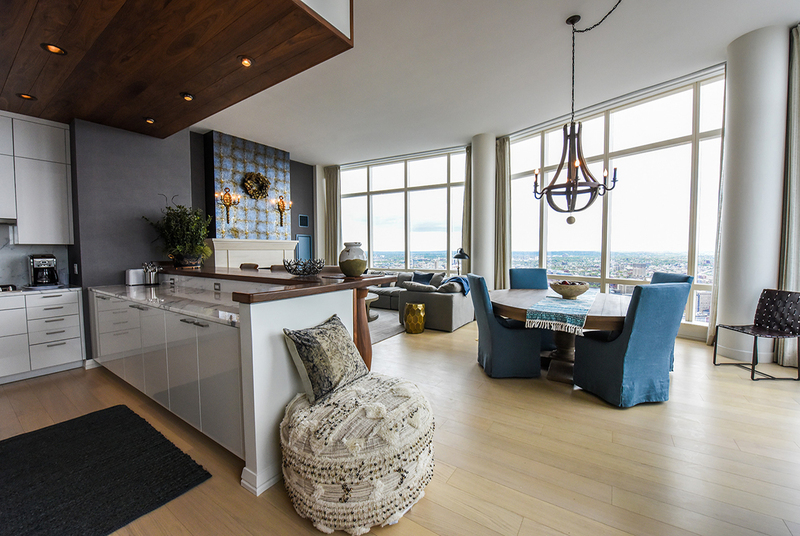 A marble fireplace to the left is accented by a hanging swing for premium views of the city. “You can spin and swing around and really see everything from that seat,” he says. While Sleeping Dog Properties, Inc. is always game for tackling unusual or bigger budget projects, Rapczynski says it’s all about fulfilling the needs of the client to ensure they’re happy in their home. For more information about Sleeping Dog Properties, Inc., visit sleepingdogproperties.com.